Room 5 and 6 have introduced a new activity into their daily learning. 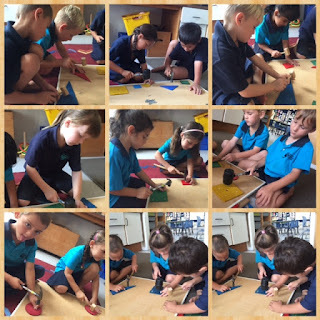 We are now learning more about our shapes , while we hammer them into a board. This is good for students as they need to concentrate on holding the nail and keeping their eye on what they are doing.